Uganda Cranes skipper Denis Masinde Onyango has agreed to renew his contract with PSL side Mamelodi Sundowns on a four and a half year deal. The development was confirmed by the club on their official Twitter account confirming that the best goalkeeper on the continent has extended his stay until 2022. 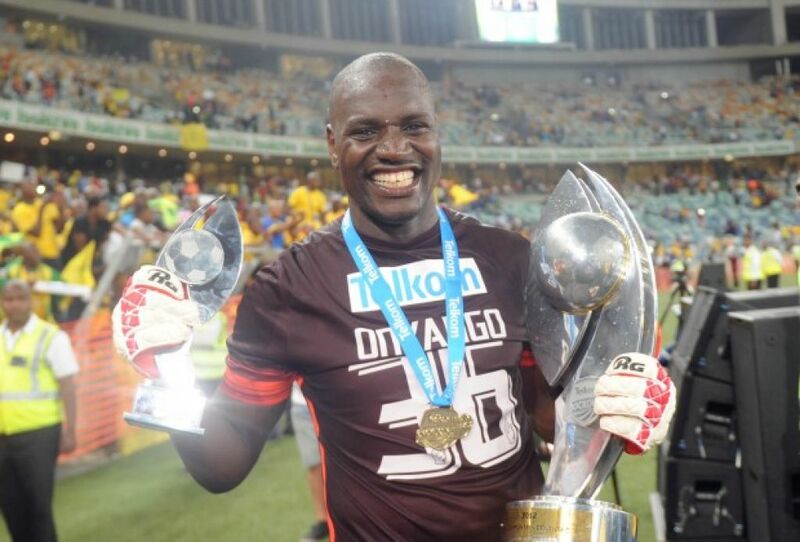 “Mamelodi Sundowns and Denis Onyango agreed on a contract extension of four and a half years. The Ugandan goalkeeper is currently the best goalkeeper in Africa having been named in the Confederation of African Football’s Best XI.” Read the Tweet. The skipper joined the sundowns in 2011 from Super Sport and has since been a key figure at the South African giants helping them win many titles including the CAF Champions League in 2016. Last year, he was named in the best XI for CAF, the only player to make the list while playing in Africa. It should be remembered that this was the second time, the 33 year old shot stopper was making Africa’s best XI. He has previously featured for SC Villa in Uganda, St. George in Ethiopia, super sport and currently Mamelodi.